What's that? You're a Republican politician who doesn't actually care about conservative values but likes using the government to further your business interests and personal wealth? Worried that conservative bloggers will tear you apart for pretending to be a conservative when you're actually not? Fear not! Because here in the great state of Missouri we have the perfect example of how a GOP establishment candidate can easily win over the entire Breitbart operation just by showing them a little "affection" (if you know what I mean)! Ann Wagner is the embodiment of the GOP establishment. She was appointed as the Ambassador to Luxembourg by President Bush. She was the chair of ultimate GOP insider Roy Blunt's successful Missouri Senate campaign where he defeated a more conservative challenger before trouncing Robin Carnahan. She was one of the finalists to run the Republican National Committee. And her husband is a registered lobbyist and Vice President of Government and Public Affairs at Enterprise, so her election would be the perfect example of the GOP establishment's favorite hobby: crony capitalism! Not only that, but Wagner's opponent in the GOP primary is Ed Martin, a guy who was at the original St. Louis tea party rally and was on the tea party board before deciding to run against Russ Carnahan in the 2010 election. As a former Chief of Staff for Matt Blunt, Martin definitely is not a pure "outsider," but he also is not the embodiment of the national Republican Party as is Ann Wagner. So you might think that Wagner would have a hard time wooing the "rebellious" "edgy" "unapologetic" "conservatives" who run Andrew Breitbart's sites. How wrong you'd be! In fact, Wagner has not only charmed the Breitbart gang into avoiding attacks on her, she's actually gotten them to publish attacks on her tea party opponent! She's demonstrated that what they really care about isn't actually conservatism, but rather making sure that they get their piece of the pie. But Adam, you're saying, it must be so incredibly hard to woo such iconoclast firebrands! No, it's really not! At least not if you are a wealthy, well-connected GOP fundraiser! Here are a few simple steps demonstrated by Ann Wagner that you can follow to ensure that the ever-so-principled "conservative bloggers" at Breitbart's sites will pretend that you represent the heart and soul of the Republican Party. 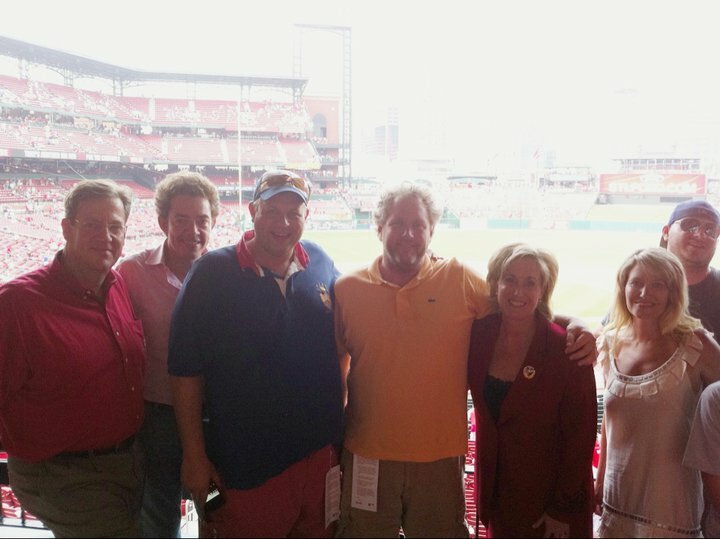 Andrew Breitbart and Big Government Editor Mike Flynn at a Cardinals game with Ann Wagner, Ray Wagner, and GOP operative Chip Gerdes. Of course, a little alcohol never hurts an effort to help "grease the wheels" for some future positive coverage! 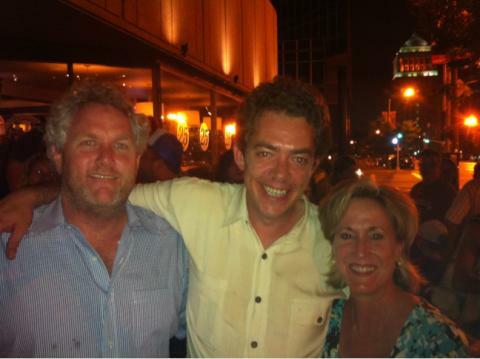 The especially red-faced & glassy-eyed Andrew Breitbart, Ann Wagner, and Mike Flynn in downtown St. Louis. Formal events are a great place to schmooze! 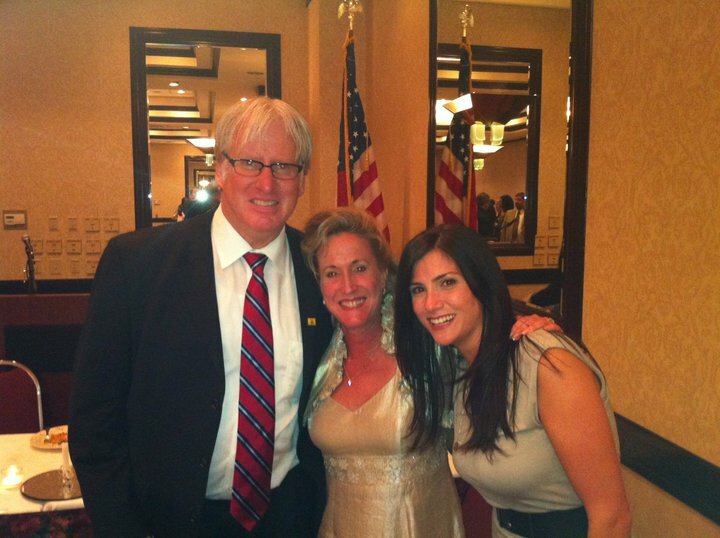 Wagner with Breitbart editor Dana Loesch and "Gateway Pundit" Jim Hoft. Hoft wrote a post attacking Ed Martin on the Loesch-"edited" site Big Journalism. This was after Breitbart blogger Dan Riehl had sent a "warning shot" by attacking Martin on behalf of Wagner on Big Government. Don't forget to introduce Breitbart editors to GOP celebrities so they can feel important! 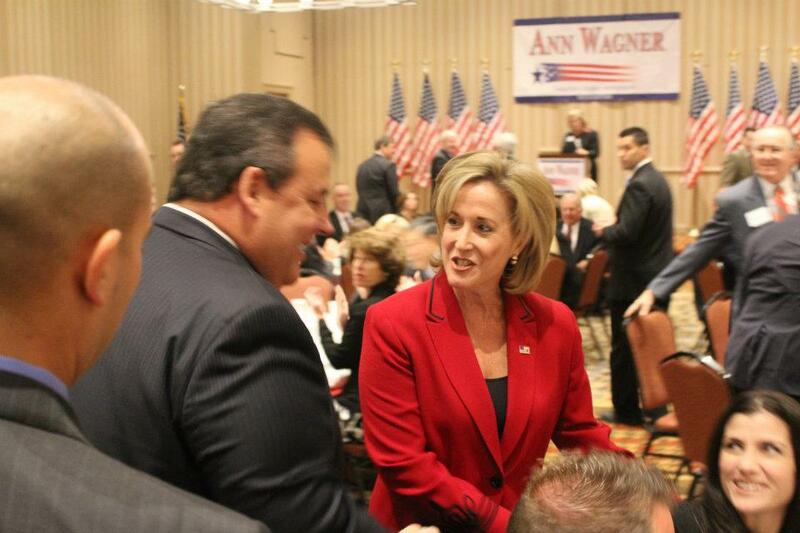 Ann Wagner introducing New Jersey Governor Chris Christie to Big Journalism editor Dana Loesch. 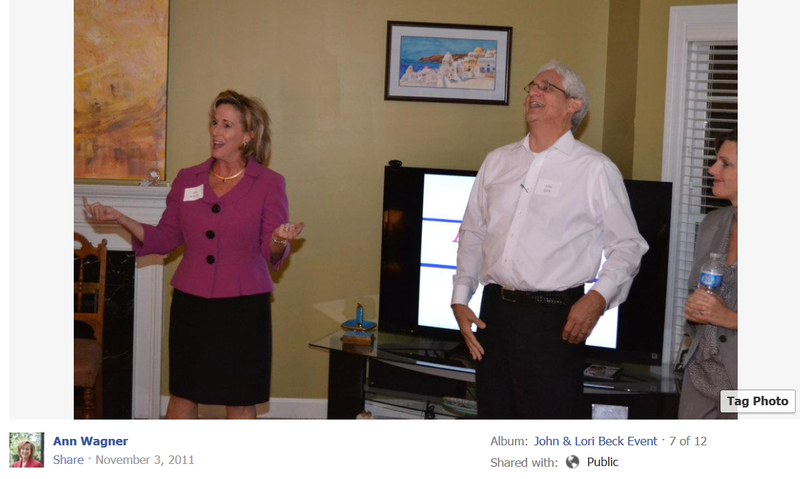 Ann Wagner is introduced by John Beck, the Senior VP at Loesch's home radio station KFTK, at a fundraiser hosted at Beck's home. Are there any other secrets to wooing the Breitbart gang? Who knows? Wagner is a record-breaking fundraiser after all (and Breitbart did just raise $10 million for...something). And since Breitbart steadfastly refuses to release any information on who funds his site, Wagner can help him however much she wants without anyone being the wiser. So, to summarize: it doesn't matter to Breitbart bloggers that Wagner is a "country club conservative" who perfectly represents the GOP establishment that the tea party fought against. 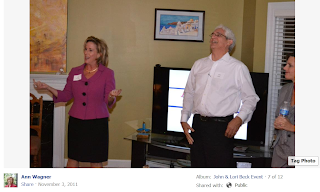 It doesn't matter to Breitbart bloggers that Wagner's opponent in the primary is a guy who stood with the St. Louis Tea Party at their first rally and has been closely connected with them ever since. All that matters to the Breitbart bloggers is that Wagner promises to give them a little piece of the pie. And if you're a wealthy, well-connected GOP moderate, that's all that will matter to them about you too! wow! this should be illegal.. wagner will be able to get all kinds of free publicity from kftk, (Alman, Loesch, Toblar and the breitbart media juggernaut) and with "Big" johns connections throughout the elite scene in st louis this whole thing reeks of cronyism. Wagner should be able to skate right in! Who cares? Why does it matter if all the conservatives out there are gonna vote for Romney anyway? Adam, even though we are on opposite sides politically, I admire that you document what you write with actual hard facts. It is refreshing.